• If you select the option “High quality (free unlimited storage) – Great visual quality at reduced file size”, your uploaded photos WILL be re-compressed no matter what resolution, but not re-sized. I was not able to really distinguish my uploads from the original files, but it might be noticeable because the files actually shrink about 20-25% in size depending on your original JPEG compression. This is not a good method to store camera originals, but for photos processed for the web it is tolerable. Curiously, an image uploaded in the PNG format did not get recompressed and did not seem to count against the diskspace quota, but I’m not sure what happens with RAW files, though! • “Original – Full resolution that counts against your quota” does exactly what it says on the label. This means that ALL your photos uploaded via Google Photos will count towards your drive quota, even those below the former 2048x resolution limit. I actually discovered this by accident because I thought the old 2048x limit is still in effect when this option is selected and I was surprised when Google Drive showed that some of my Photo drivespace was being used. • The above options can be switched at any moment and only count for the photos you upload while they are activated, but not for your already uploaded photos or those uploaded with the old Google+ interface. • At the moment, you can still upload your photos over the old Google+ interface with the old rules of unmodified, original size photos up to 2048x size without using your diskspace quota. You can still access the old interface by going to the Photos link in the Google+ main menu, which still gives you a link back to the G+ photos – or you can go to plus.google.com/photos/highlights directly. How long this is still going to work is unclear at the moment. • The Google Photos albums and Google+ albums are completely linked, everything you upload no matter where can be accessed over both interfaces. The new site and apps also still have some noticeable drawbacks and limitations. • Both the new website accessible under photos.google.com and the mobile app are lacking somewhat in functionality compared to the G+ interface. It is not yet possible to sort the order of photos in albums manually and while adding pictures from one album to another works, moving is not an option (yet?). Also, it is not possible to delete a photo from a Google Photo album – it only gets removed from the album itself, but is still in your Photos account. All this can still be done with the G+ web interface and Picasa Web, with the changes made of course also showing up in Google Photos. Sorting photos by date or filename needs to be implemented! • Sharing to Google+, Facebook and Twitter is built into the Google Photos web interface, although only a link to the selected photo is given to Facebook and Twitter. In the mobile app, the complete photo is transferred to any suitable program available on the device, although this means that even in case of Google+, the photo is saved locally and re-imported into the G+ app. Currently, the transfer from the Google Photos Android app to another program for sharing deletes the original filename – but the web interface does not exhibit this behaviour when sharing to Google+. • Drag & Drop uploading works on the web interface, but strangely only on the main and album list screen and not in the albums themselves. After the upload has finished, a dialog pops open in the lower left asking if a new album should be created or if the photos should be added into an existing album. Uploading directly into an opened Album is sadly not possible (yet). • There used to be a bad bug in the Google+ Android app causing photo uploads (to which images from Google Photos now also count) to only appear in 320 pixels horizontal resolution. I believe this was fixed in one of the recent Google+ app updates since the 100% reproducable behaviour is now gone on both my Android devices. This was not actually a problem of the Google Photos app, but of the Google+ app. On the VERY plus side, the Google Photos website is incredibly fast even on very old computers and works well on both desktop and mobile devices. The design ist marvellously simple and easy to navigate. It’s perfect for the quick posting of photos which are already sorted into galleries and the search feature makes finding images even by filename very easy and uncomplicated. Google’s idea is, of course, that you automatically sync all your photos into the Google Photo cloud and for some reason many people think this is a mandantory thing – but the automatic synchronization is not even switched on by default on mobile devices, requires a seperate installation on PCs and you can just upload only the images you want manually. John C. Dvorak said in one of his articles that “Google Photos is too creepy” and “Google has ulterior motives for wanting to host all your photos for free”, but this could actually be said about any other photo storage service. Google has it made clear that your photos are private until you choose to share them to the public and while they will be indexed, analyzed and sorted by the software to make them better searchable, this does not mean someone at Google is permanently looking at your private photos. Futhermore, there have never been any indications that Google wants to steal your photos to make money with them – there is actually a clause in the TOS somewhere that says they MAY use your photos for promotion and other things, but only with the express premission of the user – which is not given by default. The bottom line is that it is simply up to the user what will be uploaded, but a first step is not to use the auto-sync feature if you have legitimate privacy concerns. Overall, Google Photos is not really a complete and perfect photo storage solution, but it IS offered for free (and ad-free!) with some reasonable limitations and even in its current state vastly surpasses what is offered from the competition. 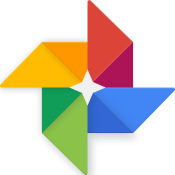 For semi-professionals and professional photographers, Google Photos is more like an online presentation tool to keep all your photos to be shown on the web in one place, while for casual snappers it’s just an easy and unproblematic solution to organize photos. Personally, I like it because it makes my online photo library easily accessible across multiple devices in addition to my own website.